This is our wineries first vintage of this ancient Mediterranean white variety. Vermentino is said to have originated in Spain and is now grown extensively in Southern France (where it is known as Rolle) Corsica, Sardinia and in our vineyard. The variety is renown for producing wines with crisp fruit flavours with refreshing acidity. 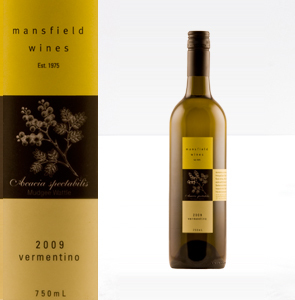 The 2009 Vermentino displays sweet pineapple and floral aromas, while the palate is crisp and dry with zesty lemon, green apple and fig flavours. Drink now or cellar over the next few years. Try with your favourite seafood/chicken dishes or by itself on a balmy evening. Verdelho originates from the island of Madeira and was first planted in Australia in the 1820's principally to make fortified wines. The 2009 Verdelho displays tropical fruit and spice aromas. Fresh pineapple, guava and musk stick flavours, with a lingering lime finish. Drink now or cellar for the next few years. Try the 09 Verdelho with Chinese, Thai or Vietnamese cuisines. 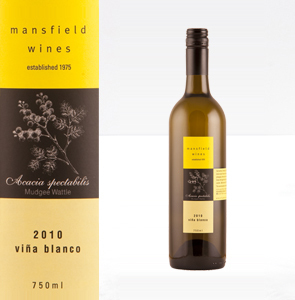 A unique blend of some of Australia's newest and rarest white grape varieties. The Viña Blanco blend consists of Vermentino, Parellada, Petit Manseng and Savagnin producing a new wine experience for the Mudgee region. This wine displays lemon zest, floral and herbaceous aromas, while the palate has well-weighted fruit flavours of pineapple, lime and lychee with a crisp finish. Drink now or cellar over few years. Try with garlic king prawns, Thai beef salad, Caesar salad with anchovies, light Italian/Spanish cuisine or delicious on it's own. This is our first varietal wine from Savignin (sav-vah-nyan) grapes off our Orchard Vineyard. Savagnin is a white grape variety believed to be related to Gewurztraminer grape from the Jura region of Eastern France. The 2011 Savagnin displays an attractive exotic nose of pineapple, pawpaw and mango with an underlying citrus bouquet. An intense palate of dried fruits, hazelnut and ginger flavours with long crisp finish. Drink now or cellar over the next five years. 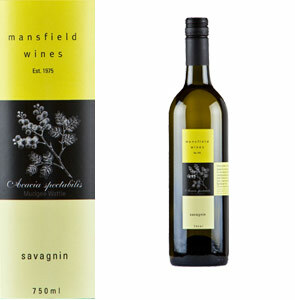 Try Savagnin with chicken dishes, shellfish or creamy mushroom pasta or risotto dishes. Savagnin is a great alternative to drinking Chardonnay or Sauvignon Blanc. It's back. The long awaited fourth vintage of the white grape with the sumptuous personality is finally here. Petit Manseng originates from the Juracon region of South Western France where it is highly treasured. The 2011 Petit Manseng features a delicate nose of lemon/lime sherbet with subtle hints of spice. A complex palate of 'Red Delicious' apples and floral notes with a lively dry crisp and persistent finish. Drink now or enjoy over the next six years. Try Petit Manseng with calamari, lightly spiced Thai/ Vietnamese dishes or simply delicious by itself. Petit Manseng is a great alternative to drinking Riesling or Sauvignon Blanc. 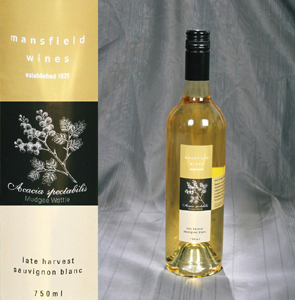 Late Harvest Sauvignon Blanc is a dessert wine featuring fresh citrus blossom, pineapple and nectarine aromas. Mouth-filling flavours of sweet tropical fruits, raisins with lingering finish inhabit this deliciously cheerful wine. Drink now or cellar for several years. This wine is well suited for many fruit based desserts, cheese cakes or with mild cheeses and crackers.